Huawei's latest photo-centric flagship is out now! While Apple and Samsung duke it out for the smartphone crown in Australia, Huawei is steadily rising to the fight with its flagship range of camera-centric handsets. The latest mainstay in its P-series, the Huawei P30 Pro offers some truly awesome spec bumps, but with great internals comes great price increases. Thankfully, we're here to save you some dosh. An impressive 8GB RAM, 256GB storage, 4,200mAh battery and Kirin 980 processor are powering this bad boy, and you'll be staring it through a gorgeous 6.47-inch OLED display. But the rear Leica quad camera set-up is the real star here, with a 5x optical zoom, 10x hybrid zoom and 50x digital zoom, as well as the option to take incredibly detailed night-time footage. As we mentioned, packing all this power into the sleek and stylish handset has its consequences, and if you want to pay for those consequences over the period of 24 months rather than all at once, check out the best plans on offer below. For those able to grab the phone outright, head to Amazon and check it out. 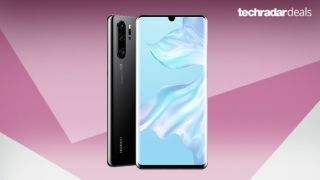 While the 256GB Huawei P30 Pro will set you back $1,599, you can ease the pain by getting the phone on a contract, and it looks like Optus is really leading the charge on this front, with some truly compelling prices and inclusions.